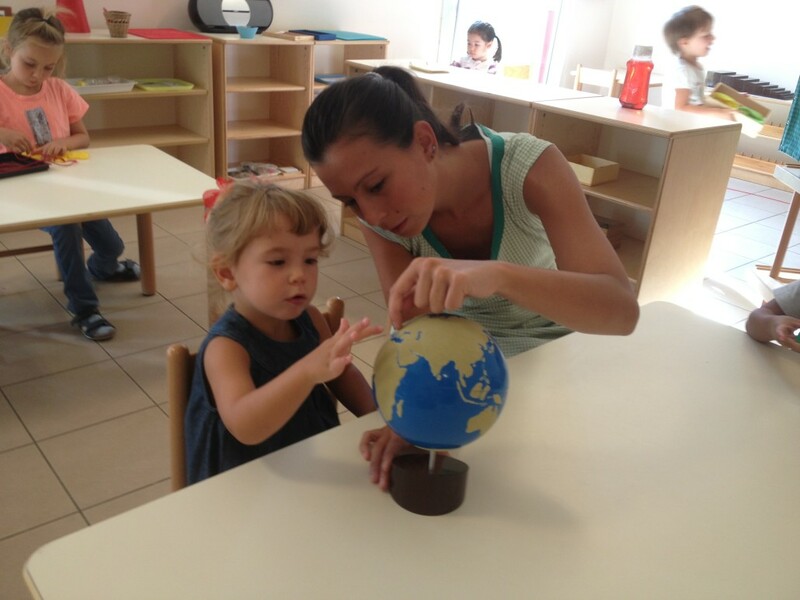 Our Children’s House includes two multi-age bilingual Montessori classrooms for children ages three to six. Bilingual Education: In both classrooms, a team of two teachers, one Italian speaker and the other English speaker, collaborate using a bilingual approach to education. The two teachers take turns the children’s activities while communicating in their native tongues. The bilingual approach is particularly appropriate for a Montessori classroom, where teachers typically emphasize individualized interaction with the students. 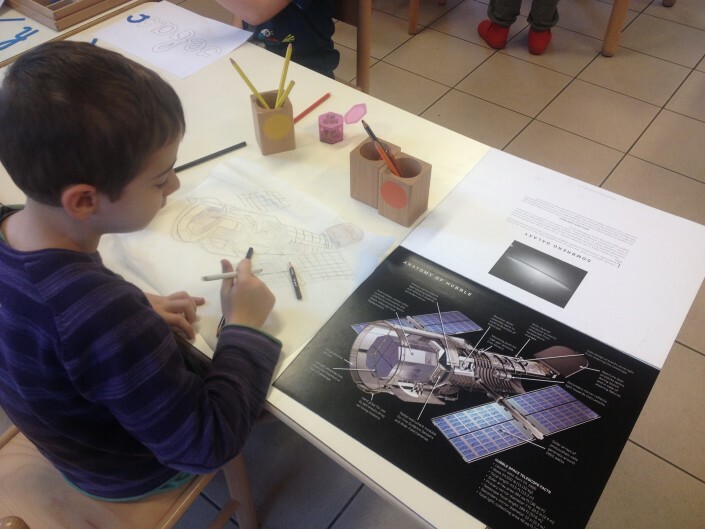 Educational Activities: Children have access to a variety of self-directed educational activities. The classrooms contain special areas for reading, working with Montessori materials, music, painting and manipulation. perform various useful activities such as pouring, squeezing juice, peeling fruit and vegetables and shining their shoes. Classroom Environment: The classrooms are designed to provide an accessible, safe and inviting environment for each child. The furniture is child-sized, allowing easy access to a wide range of carefully selected activities around the room. Each child chooses her or his activities freely, feeling safe in the knowledge that the teacher is always nearby and ready to support their efforts. 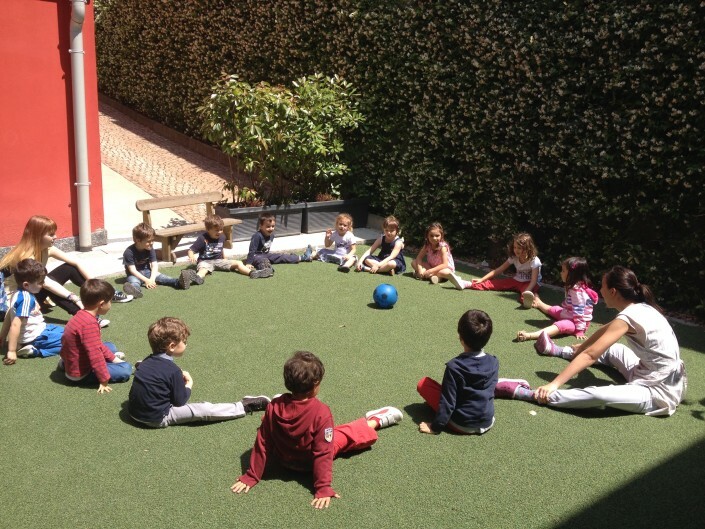 Outdoor Activities: The school yard provides space for outdoor play. 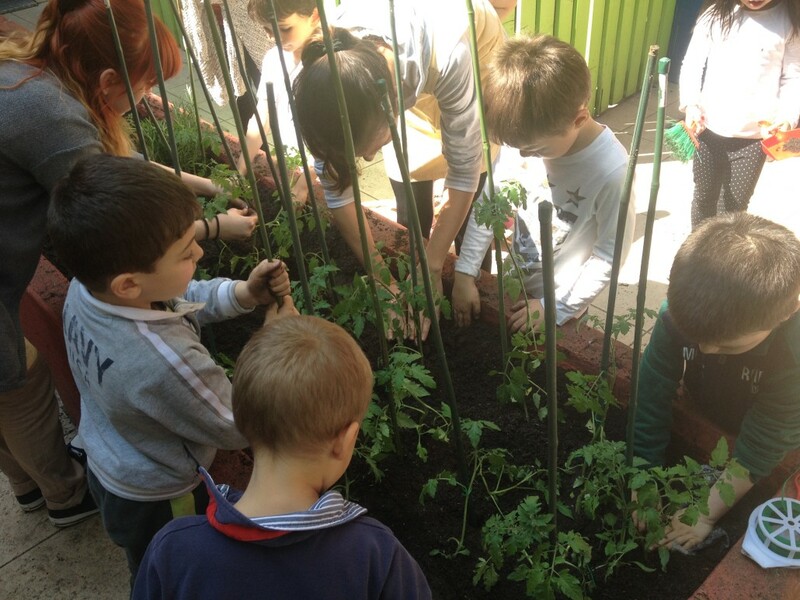 Additionally, there is a gardening plot in the shade of an old fig tree where children can experience growing vegetables and other plants with their own hands. Musical Education: Musical education plays an important role in the Montessori classroom. In a dedicated music room children learn to listen to, identify and classify sounds, tones and rhythms. They also practice singing and moving to various rhythms. According to Maria Montessori, these highly enjoyable musical activities facilitate the development of children’s expressive skills. Additionally, the sensory-psychomotor approach used in music education is effective in promoting body awareness and motor coordination.